If your summer plans include sitting by the pool enjoying a good book, here are a few reads to add to your list. These cookbooks are informative and they offer some delicious recipes. Five-time James Beard Award Nominee and NY Times writer John Edge gathered together some of the best street food in the country for this cookbook. From sandwiches to hot dogs to sweets, you'll find recipes from your favorite food trucks along with the stories behind them. This book tackles canning and freezing your food. While the idea can be intimidating, this is the perfect guide for beginners. The book is organized by season and offers over 200 recipes. A trip to the farmer's market can often leave innocent bystanders dazed and confused. What are quinces, black currants or gooseberries? Slater offers recipes for any fruit you may find at the market or even in your own backyard. Nothing helps you beat the heat more than an ice cold pop. This New York-based company creates popsicles with seasonal ingredients and organic sugar. 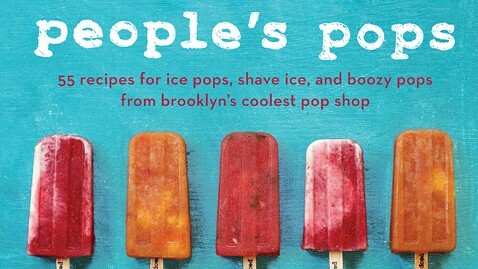 If you want to add refreshing summer pops with a twist to your repertoire this summer, you'll love this book. Popular food blogger Jenny Rosenstrach shares her favorite family dinner recipes. Rosenstrach divides the book into time periods and offers personal stories along with her recipes.